It's been too long since I've shared a post about kids books, but my feeling about the importance for early childhood literacy has certainly not dwindled. 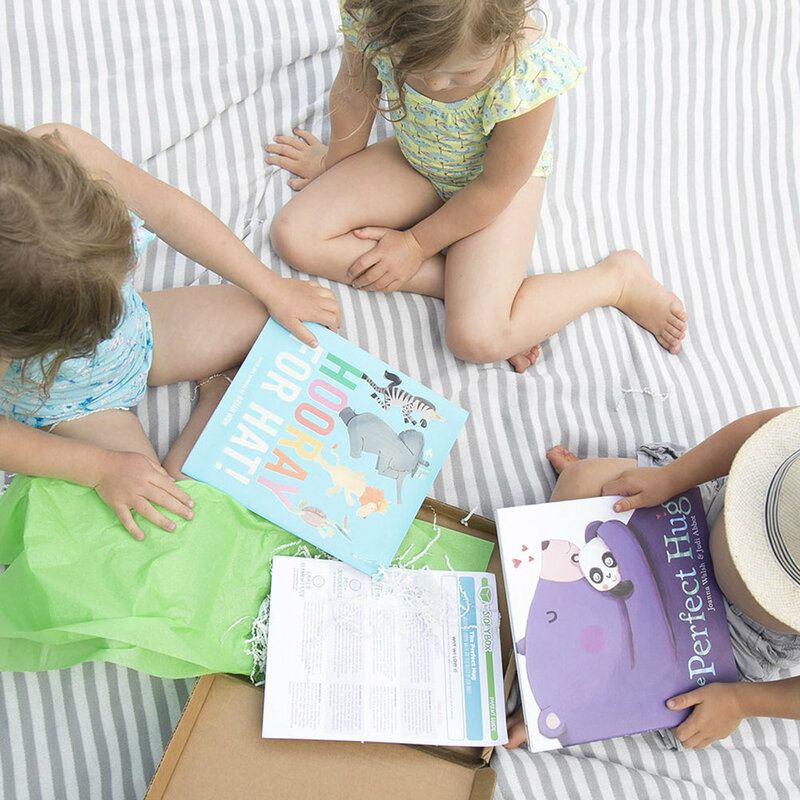 Summer is THE perfect time to get reading with kids and reading outdoors is one of our much-loved lazy summer day activities! So grab a blanket, a kid or two and head outside with some new books that are sure to become summer favourites. Today's book selections are perfect for reading outside with the kids; they will even inspire a love of nature and teach you a thing or two as well! 01. // The Honeybee; 02. // Curious Kids Nature Guide; 03. // Seed School; 04. // Plants Feed Me; 05. // Up in the Garden Down in the Dirt; 06. // How Do Flowers Grow; 07. // Tap the Magic Tree; 08. // The Butterfly Dance. Do your kids ever get overwhelmed? Mine sure do! Since us adults still struggle to pull out the right tools each time we feel frustrated, angry, annoyed, etc, imagine how kids feel! This list of amazing kids books centred around yoga is a great beginning to help your little ones understand and start talking about ways to help them feel calm and thoughtful through yoga! Our local kids yoga studio, Yoga Buttons, right here in Vancouver has been such a positive influence on our children and they often remind each other (and me!) to take a deep breath and try to be calm. It's been so helpful for us and I hope you can find a book here to share with your little one too. Hand picked by the studio owner (thanks Carolyn! ), these recommendations come straight from our favourite kids yoga teacher who deals with dozens of kids every day! 01. // You are a Lion; 02. // Yoga Bunny; 03. // Rachel's Day in the Garden; 04. // Peaceful Piggy Yoga; 05. // ABC Yoga; 06. // I am Peace; 07. // Little Monkey Calms Down; 08. // Move your Mood; 09. // Yawning Yoga; 10. // In the Garden; 11. // Good Night Yoga; 12. // Peaceful Piggy Meditation; 13. // Good Morning Yoga; 14. // By the Sea; 15. // Breathe Like a Bear. 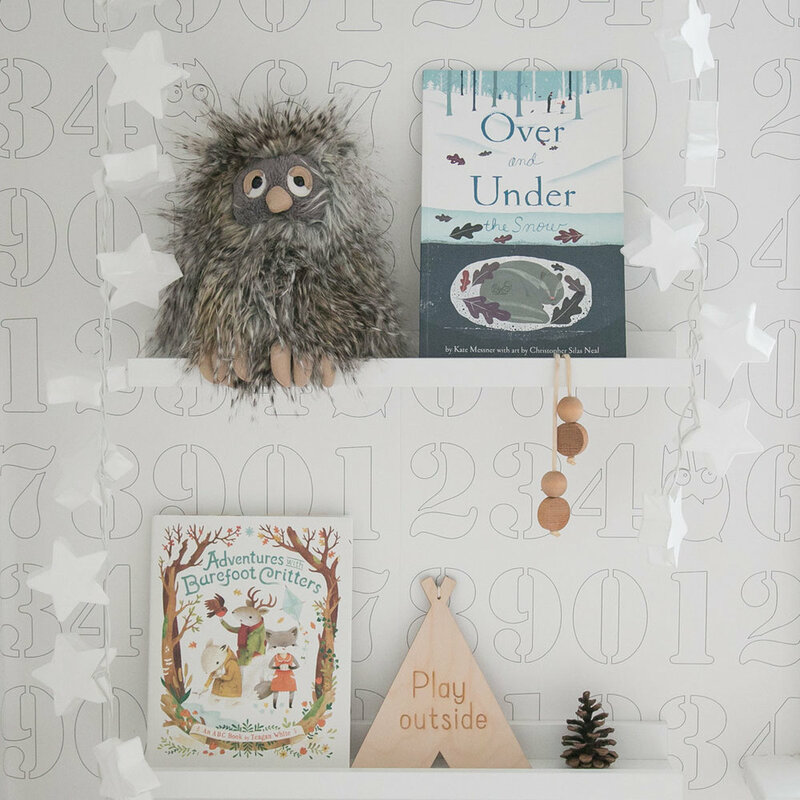 In anticipation of sharing the first reveal of 2018, our home creative art space next week, I'm sharing a sneak peek of all of our favourite books that sit on the shelves there! You know I LOVE children's books and for this space, I wanted to include books that were both informative to the art process and also ones that we could pull out in the throws of frustration that happen throughout craft making and the creative process. These books are ones we read again and again and I can't wait to keep adding new ones as the kids grow and get more involved in their own artistic endeavours. For those who are wondering, yes, these books will get dirty, likely get paint on them but more importantly are used and loved. Remember to PIN the image below to save it for future reference! 1.// Tinkerlab; 2.// What Do You Do With An Idea; 3.// The Day the Crayons Quit; 4.// The Wonder; 5.// Beautiful Oops; 6.// Art Play; 7.// Mix It Up; 8.// Anything Is Possible; 9.// The Book of Mistakes; 10.// What To Do With a Box; 11.// Art; 12.// Art Workshop. Happy Friday friends...have a great weekend!!! You know I love a good kids' book and these ones are INCREDIBLE. Lostmy.name is a company that creates magical books for children that incorporate a child's name and turns them into the centre of the story! You may have heard of the adventurous tale of The Boy Who Lost His Name, or The Incredible Intergalactic Journey Home and The Kingdom of You and if not, head over to their site and check them out! When our kids saw their name in the books, they really were blown away. "How did you do that Mommy? ", "How did the author know my name?" were a couple of questions that quickly followed. As a Mom, other than fascinating my kids, I love the story lines and the lovely quality of the pages. Well, today we are GIVING away not one, but THREE of these beautiful stories to three lucky winners! Head over to my Instagram page to see all of the contest details and tag your friends!!! Giveaway closes Friday June 30th. Winner will be announced on the blog and also on Instagram. Good luck friends!!! Here in Vancouver, Spring STILL hasn't fully arrived but I am fully embracing it here on the blog! One of our newest books is a special one perfect for Spring, called BEE that Xavier was given for his 4th birthday, a few weeks back. This book is a lovely start to Spring themed books with every page bursting with flowers in scenes of the outdoors, as well as...bees! The story takes a journey through the bustling life of a bee; kids will love the little peek through holes and searching for the ladybug on each page while parents will love the educational aspect associated with teaching kids about the importance of nature and the role of the bee in our world. Beautifully illustrated with rhyming throughout, BEE comes highly recommended from our bookshelf to yours! You can buy BEE at your local bookstore or by clicking here. Happy Thursday friends!